A week ago, I was walking on one of Tranquilo Bay’s trails and I saw an image that reminded me of the yellow rat snake / Central American wooly opossum incident. This time, a big bird jumped close to me and flew away to a high branch where it stopped. It was a beautiful adult Rufescent Tiger-heron. It seems to like that area of the trail. But what caught my attention was a “rope” that it had hanging from its bill. I instantly put up my binoculars and I realized that it was a snake that it had in its beak. 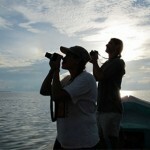 This situation led me to think that, most of all living things play one of two roles in nature’s theater – hunter or prey. Each performance is all about perspective. 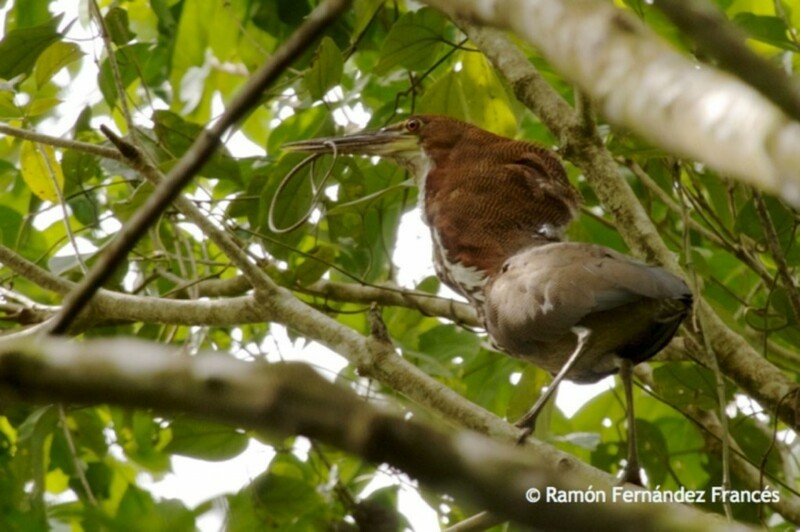 This entry was posted in Birding, Bocas del Toro Panama, Hiking, Panama Vacation, Photographs, Western Caribbean Slope, Wildlife and tagged Rufescent Tiger-heron by Ramon. Bookmark the permalink.